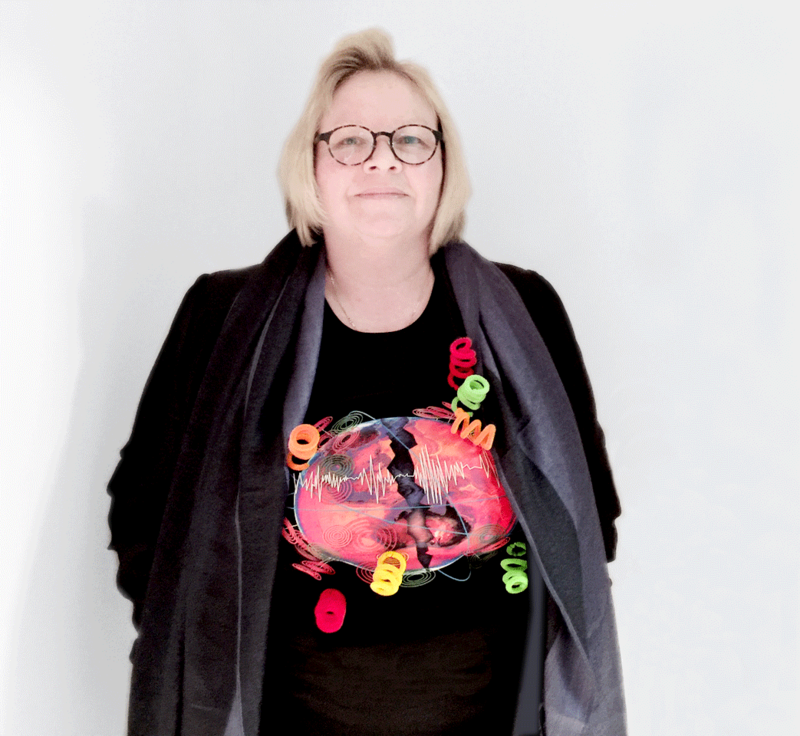 Artist, Dr Eleanor Gates-Stuart wearing her Team Earthquake T-shirt. Earthquake completed for ‘Shirty Science’ with much fun having collaborated with Scientist Dr Marija Mustac, a Seismologist and Postdoctoral Fellow at the Australian National University. 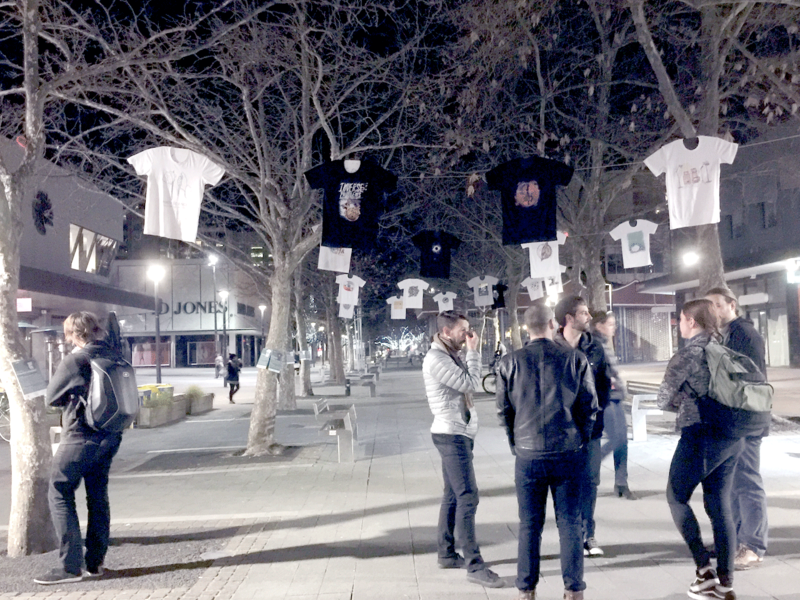 Shirty Science, an initiative of Madison Hartill-Law and founder of this Science Art idea whist studying at the National Centre for the Public Awareness of Science (ANU). 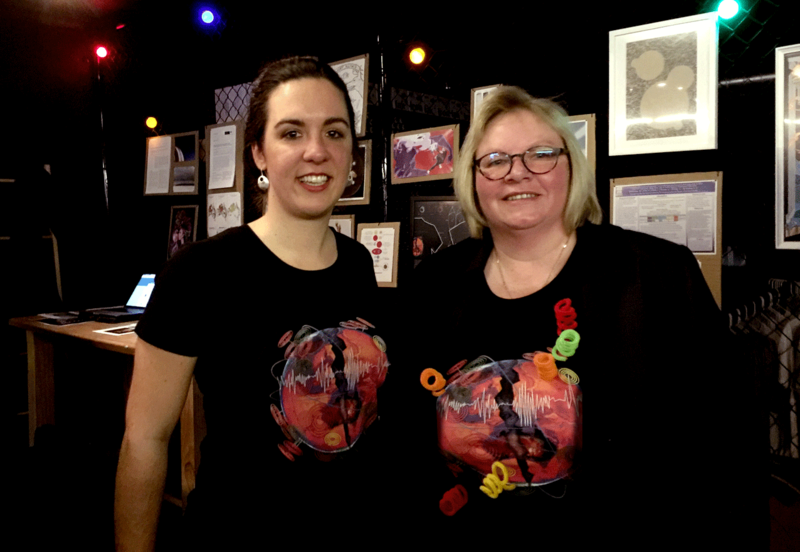 Supported by National Science Week ACT and Inspiring the ACT, Shirty Science launches its 2017 Collection completing its aims to bring research out of the lab by sitting Canberran scientists down with local artists to come up with a shirt design that represents their research. The design process was a collaborative effort in an exchange of dialogue and content for the design. It is a great challenge as we had a short time frame to introduce our respective practice and research. 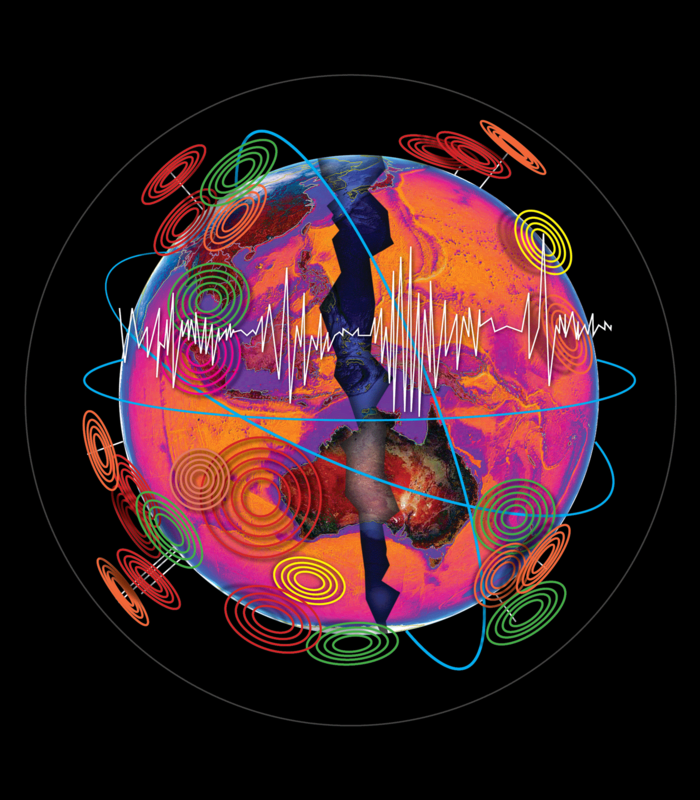 Marina research looks at earthquake source processes using ground motion recorded by seismometers on the Earth’s surface. Earthquakes are a result of rocks breaking under stress. When they occur, seismic waves travel through the Earth carrying information about the source, and the rocks the waves go through. She is mostly interested in unusual earthquakes from volcanic and geothermal areas, which can involve crack opening and fluid flow. Knowing the technology and data involved in her research, it was important to reflect this information and complexity into a less complicated version. 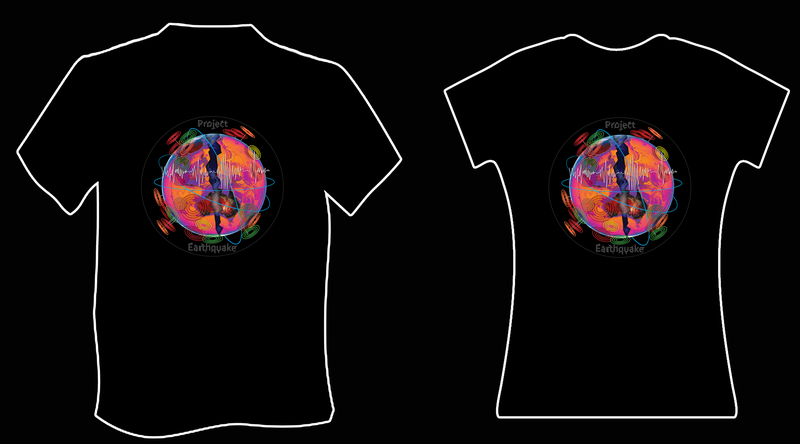 A design that retains visual references to her Earthquake research and exciting to wear on a t-shirt. Here is a link to some of Marija’s research.